Yes, there are some mistakes which the carmakers commits, and at times they prove costly as well. But however, on the other hand we get a chance to do the sneak peak for some of their upcoming model plates in between that duration. 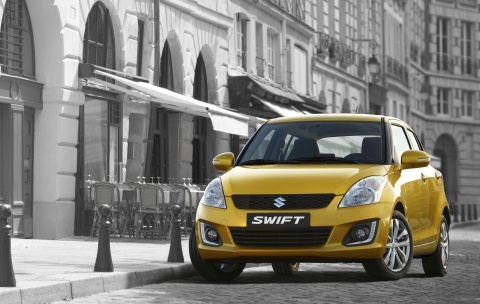 This time it is the turn of Swift, which is the heartthrob of Indian auto fraternity. 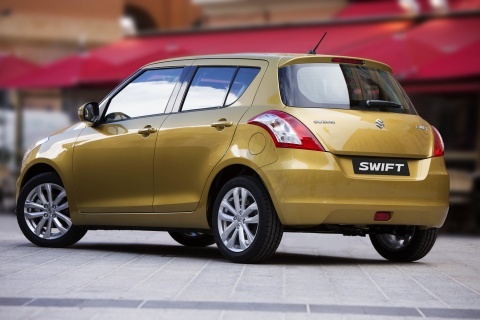 As learnt, the Belgium wing of Suzuki had by mistakenly posted the images of 2014 Swift on internet which stood there for enough of a time that any person can copy it in his hard disk and get the maximum extracts. By that way we got a chance to see what the facelift version of Swift will look like in the future. And but obviously the makers had now removed it from their official page. But we then got it posted on our blog for you to view it in all the galore. Looking at the images it can be said, most of the cues are borrowed from new Hyundai i20. Bits like daytime running LED lights infused in the fog lamps clog, signal indicators engulfed in the ORVMs, and the significantly noticeable golden brown paint job, makes this hatchback more attractive than before. However, no changes expected in the technical specifications, will stay same with the 1.2 litre K-Series 4 cylinder petrol engine producing 94 bhp at its best, and the diesel variant of 1.3 litre DDIS churning out 74 bhp at max. These much tweaks are almost not enough against the expectations of our new Swift innings; but as it will be received at 2013 Frankfurt Motor Show in September the feedbacks from automotive masters will definitely put it in the place to dig more gravely into the matters. And we hope India will be the first to receive it in the latest, because a major part of its sales comes from our homeland itself.